Ali Campbell, Astro and Mickey Virtue from UB40 are releasing their own brand of wine called ‘Red Red Wine’ named after their 1983 smash hit. 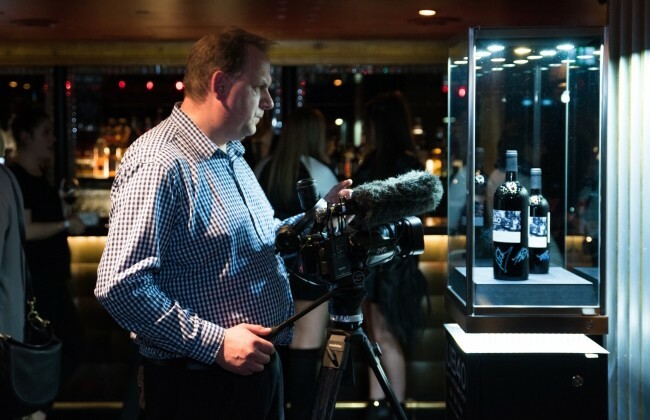 Showcase Hire was delighted to have this rare opportunity to have our “Gemini Showcase” display their new ‘Red Red Wine’. For the connoisseurs out there the wine is a Bordeaux Supérieur and is described as having “deep colour” and “red fruit with some blackberry notes”. The move into the wine game coincides with the release of the band’s new album ‘Unplugged’, featuring the acoustic covers of the band’s biggest hits, including ‘I Got You Babe’, ‘Baby Come Back’ and ‘Red Red Wine’. You can buy the wine at www.eminent-life.com from Friday, 18 November. Please contact us if you would like our help in creating your perfect event. Showcase Hire in Italy with The Who!